Logo on Sidebar only in Rise? 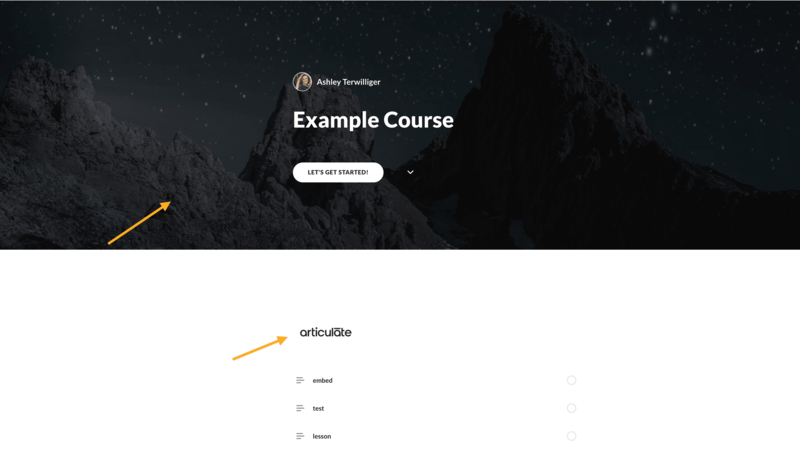 Is there a way to set a logo to appear in the sidebar of a Rise course - separate from the cover photo? My logo is squarish so it'll fit in the sidebar but doesn't work as the cover photo. Once you begin the course, the cover photo is what will appear in the top left corner. You mentioned your logo isn't sized correctly to be a cover photo - what size is it? Could you look at adding it to a background that you could use as a cover photo? Also, take a look at some of the tips here for branding your Rise courses! Thanks, Ashley. I was able to add it to a background and now it's working. I appreciate your help.